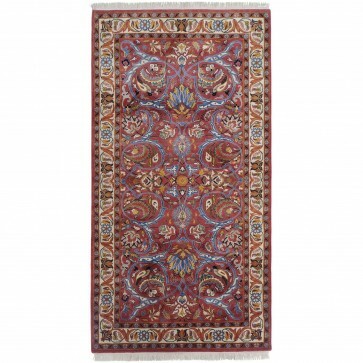 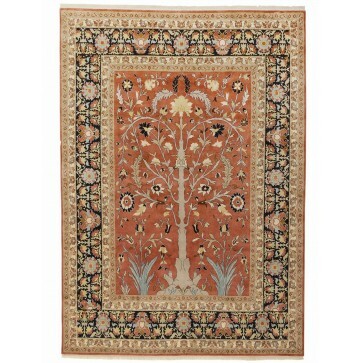 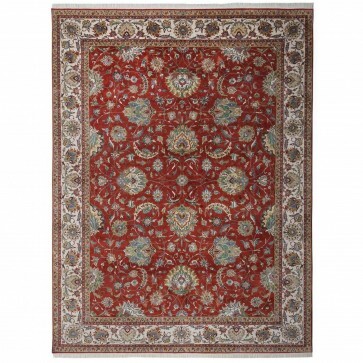 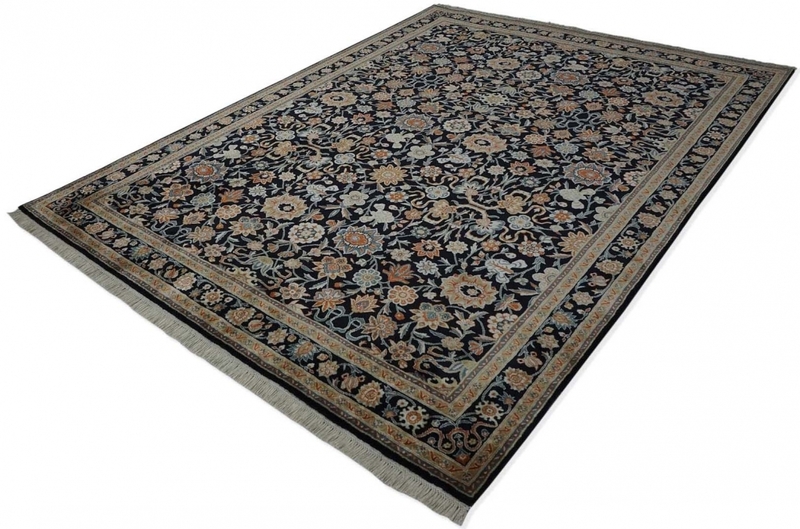 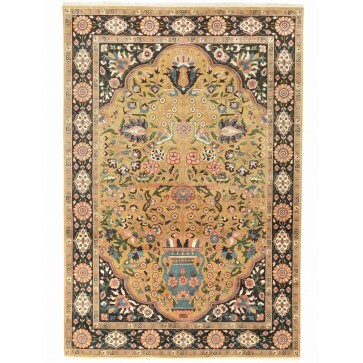 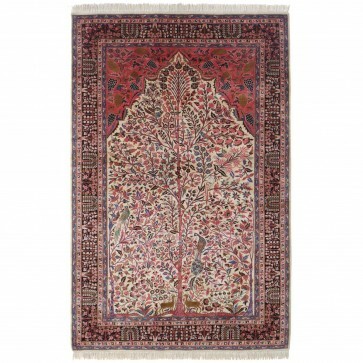 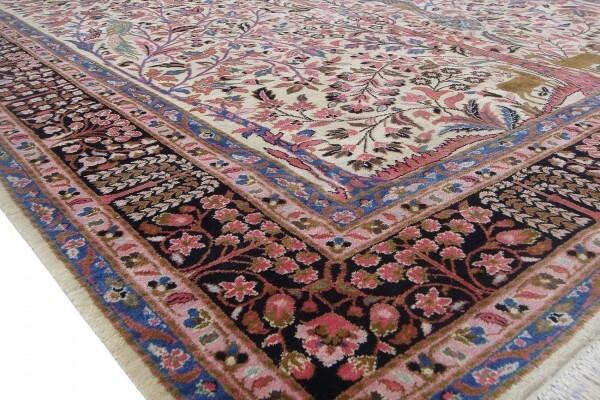 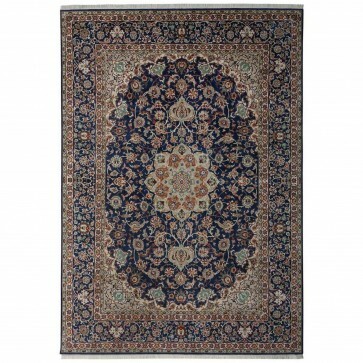 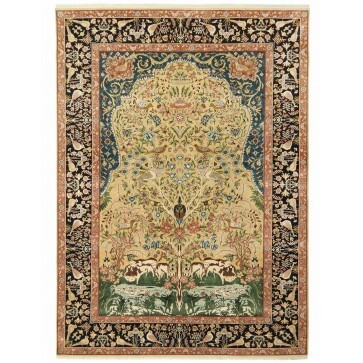 A Kerman Persian design carpet with pure silk pile hand woven on a silk foundation to 256 knots per square inch. 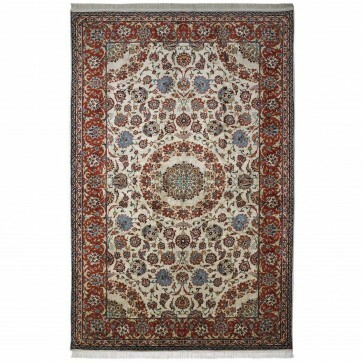 A Kerman Persian design carpet with pure silk pile hand woven on a silk foundation to 256 knots per square inch. 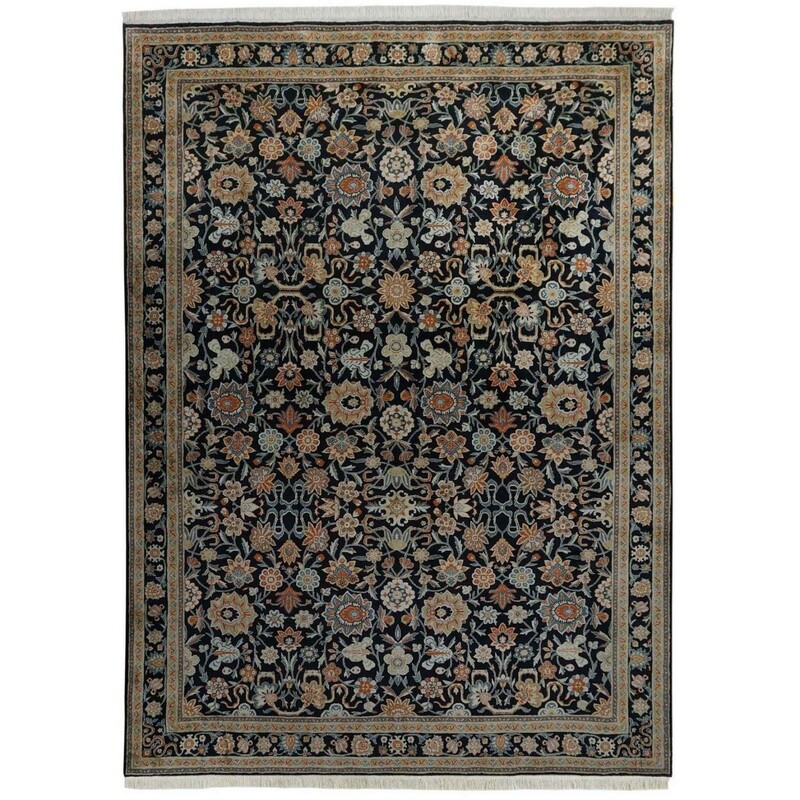 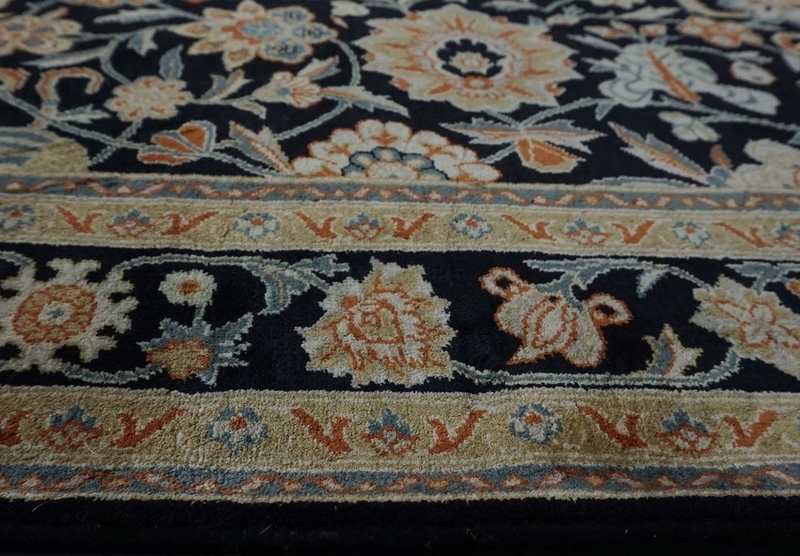 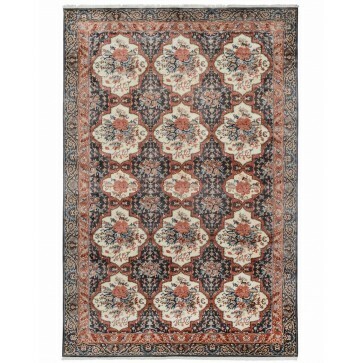 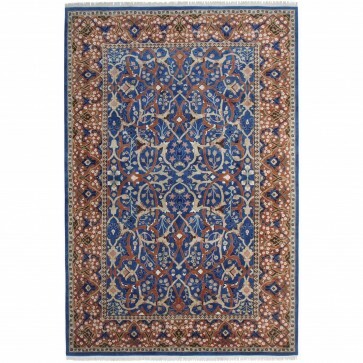 After an original, circa 1900, in our archives, the design features a wide variety of flowers showcasing numerous shapes, joined by curling stems in a variety of colours on a deep indigo field.